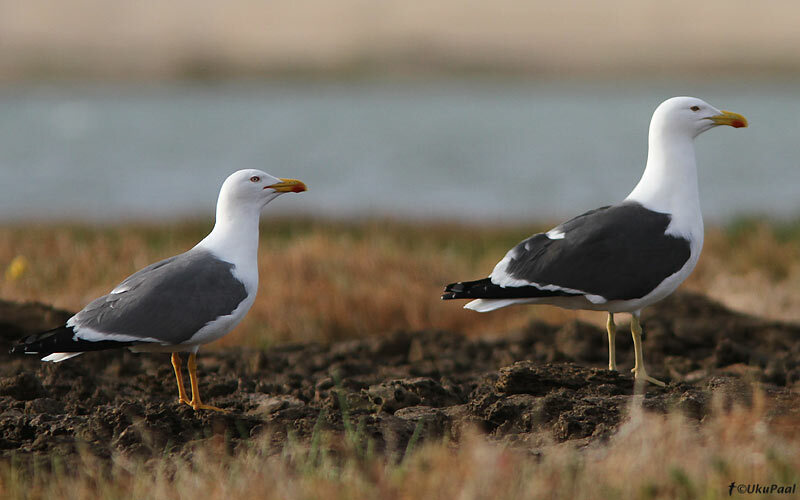 This page is enlarges upon the status of Great Black-backed Gulls in Morocco. see: Morocco Birds Blog. 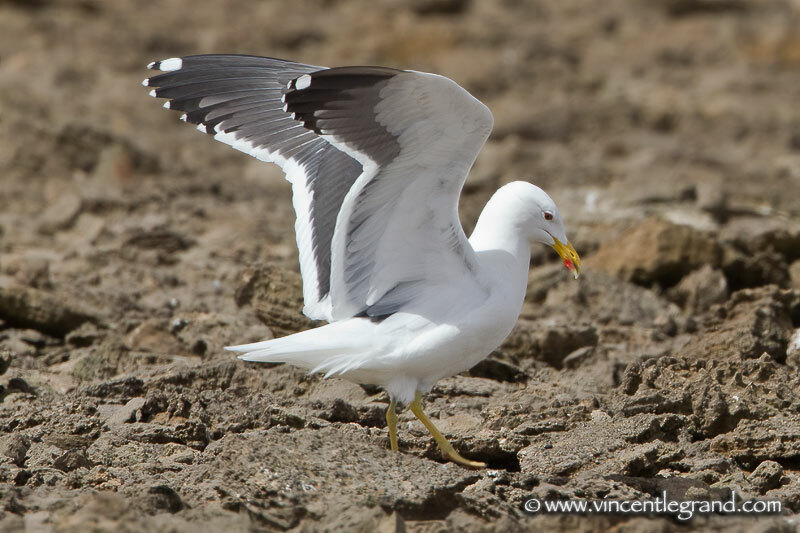 A new breeding bird species for Morocco and Africa: the Great Black-backed Gull Larus marinus. The species is found breeding in Khniffiss Lagoon, southern Morocco. Jönsson O. 2011. Great Black-backed Gulls breeding at Khniffis Lagoon, Morocco and the status of Cape Gull in the Western Palearctic. Birding World 24(2): 68-76. Since the discovery of four displaying Cape Gulls [Larus dominicanus vetula] in Khniffis Lagoon, Morocco in February 2008, the site has become a popular destination for Western Palearctic birders. The Cape Gulls were apparently residents and the number increased to a maximum of ten adults in April and May 2009, and breeding took place the same year. In May 2010, after analysing photographs of 'Cape Gulls' from the site in April 2010, it was discovered that all the photographed birds from that month were, in fact, Great Black-backed Gulls [L marinus]. An analysis of as many photographs as could be found from the area revealed that only two [ad 20 May 2009, 2 ads 7 Jul 2010], probably three [2 presumed ads 23 Apr 2009], of the records supported by pictures showed Cape Gulls. All the rest either showed Great Black-backed Gulls or were too poor in quality to show which species they portrayed, while one picture [29 Apr 2010] showed an adult apparent hybrid, probably a Yellow-legged [L michahellis] x Great Black-backed or Yellow-legged x Cape Gull. Up to six adult Great Black-backed Gulls were at Khniffis Lagoon during at least February to July 2010, with one pair apparently nesting, while a pair of Cape Gulls were also apparently on territory on the island in Khniffis Lagoon on at least 7th July. 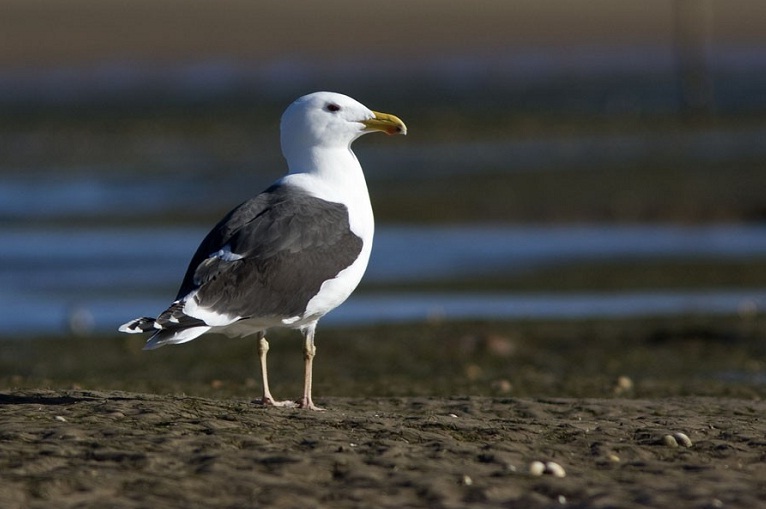 In January 2011, birders aware of the situation made thorough searches in the lagoon by boat and found ten Great Black-backed Gulls, but no Cape Gulls. This gull, photographed at Khnifiss Lagoon on 04 February 2010, was originally identified as a Kelp Gull (Larus dominicanus). Jönsson (2011), however, included this same picture in plate 8 as a Great Black-backed Gull (L. marinus). Photo's: Vegard Bunes. “Great Black-backed Gull is breeding in Africa according to Olof Jönsson in Birding World 24(2):68-76 just out. 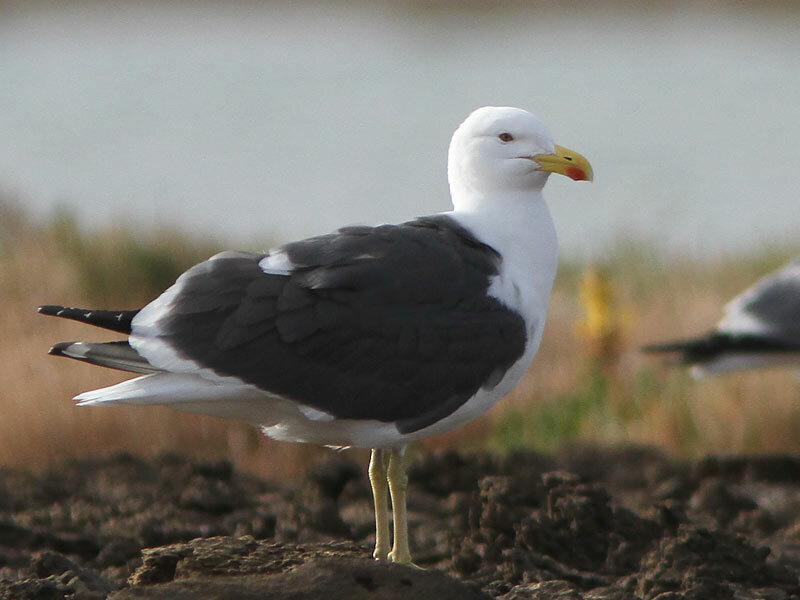 In 2009 a presumably full Kelp pair and a mixed pair Kelp Gull L. dominicanus x Atlantic Gull L. atlantis were found nesting after 5-10 Kelp Gulls were seen displaying on the Atlantic coast of southern Morocco. In 2010 a pair was found breeding at the same spot but surprisingly turned out to be Great Black-backed Gulls L. marinus instead of Kelp Gulls! - tips of inner primaries with rather narrow white tips. The pale colour of the eye is presented as a crucial element in deciding the birds are GBBG's. Apparently it has escaped this author and others before him that some Kelp populations have pale eyes too! Have a look f.i. at the various plates in 'Gulls of the Americas' showing pictures of L. d. dominicanus taken in Chile and Argentina and L. d. austrinus from Georgia all with very pale eyes! Plate 10 in the BW article shows a young bird, said to be a first winter GBBG (photo taken on 18th November). This birds shows very worn tertials and a pattern on the fresh mantle feathers that is quite unusual for birds of that age, compare with pictures here: http://www.radioactiverobins.com/gul...rusmarinus.htm . All in all, a very interesting article but I doubt the last word has been said on the Moroccan gulls. Future visitors to the breeding island are advised to measure the eggs and to collect feathers for DNA analyses." Picture 1 & 2: 03 May 2011, Lars Andersen, Danmark. Picture 3: early 2011, Tor Olsen, Norway. Limited white in P9 and P10 indications for Kelp Gull, but see below under 'update 3: Hybrids'. "I have just returned from Khenifiss Lagoon in southern Morocco where these large black-backed gulls breed and studied these birds again after initially believing all 10 were Cape (African Kelp) Gulls. Two individuals are fairly typical adult Cape Gulls, but the other six adults I recorded were pale-eyed, pinkish or pinkish-grey-legged individuals resembling Great Black-backed Gull. They all appeared to be paired up and were displaying and were present at the island breeding colony shared with Atlantic Yellow-legged Gulls. This is a unique situation and a very confusing one - Great Black-backed Gull generally breed to the north of Scandinavia in the extreme north, but isolated populations such as this have also now been discovered in southern Spain. The birds at Khenifiss Lagoon are clearly resident and breeding, and almost certainly intergrading - some individuals share mixed characters." Thanks to Richard Klim for providing the summary and for mentioning the above discussion. Please take a look at this short note, as it could be relevant for the discussion (just published online): HERE. It's in Portuguese but I think it's quite easy to figure out: Mixed pair of marinus x michahellis in Portugal. 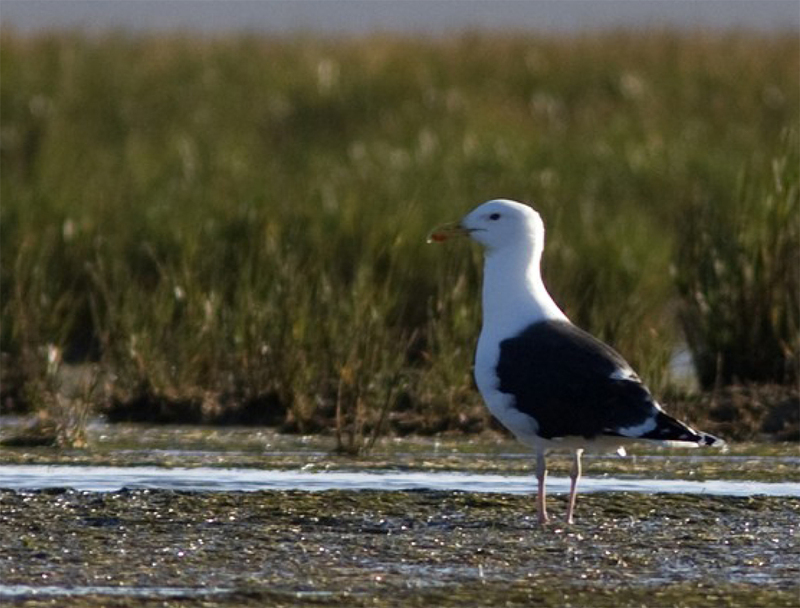 Go-South and the Moroccan Rare Birds Committee (Commission d’Homologation Marocaine) released a small report entitled “African Cape (Kelp) Gull Larus dominicanus and Great Black-backed Gull at Khnifiss”. The report explains how some of the reports analysed by the Moroccan Rare Birds Committee (MRBC) in its reports #15 et #16 (Bergier et al. 2010 and 2011) should be interpreted in light of the article of Jönsson (2011). The following is extracted from that report which includes other analysis of records previously analyzed by the MRBC and a table showing the main differences between the two species in the field. + There is no definite proof of Kelp Gull breeding at Khnifiss, nor in the Palaearctic. The birds that have bred in 2009 (Bergier et al. 2009) are GBBG's. - Two likely adults photographed by P. Vantieghem on 23 April 2009 (picture in Jönsson 2011 plate 11). - An adult on 20 May 2009 (pictures in Bergier et al. 2009 plate 1 and in Jönsson 2011 plate 12). - Two adults (pair) photographed by J. Jones on 7 July 2010 (picture in Jönsson 2011 plate 13), with 6 L. marinus. Vincent Legrand posted in netfugl a photograph (the one below) of some “large and dark backed gulls” photographed in Khniffis Lagoon on 19 March 2011 with the following comment: “Found just before dusk after 2 full days of intensive research. At least, we saw not less than 13 Great Black-backed Gull on the same spot (2nd winter 2, 3th winter 1, subadult/adult 10 togheter with a strange looking 3th/4th winter GBBGull a Cape Gull-like at more than 30 meters). The Cape Gulls of the picture are at 980m from us. Look on the broad trailing edge (best key on the ground to me), the greenish legs and overall apparance of GBBG. They have a small mirror on P10 and a full black on P9 visible only in open wing. Close to GBBG in size but however they looks slightly smaller but bigger than Yellow-legged Gulls. Any comment are welcome”. 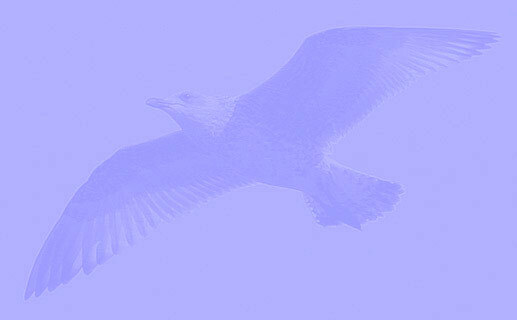 "On the Atlantic coast of Morocco the conundrum of the large and dark backed gulls continues to play out. Both Cape Gulls and Great Black-backed Gulls have been seen, what seems uncertain is how many of each species have occurred at different times. Enter the other element of small pioneering gull colonies: the high incidence of hybridization. You can begin to imagine the problems! 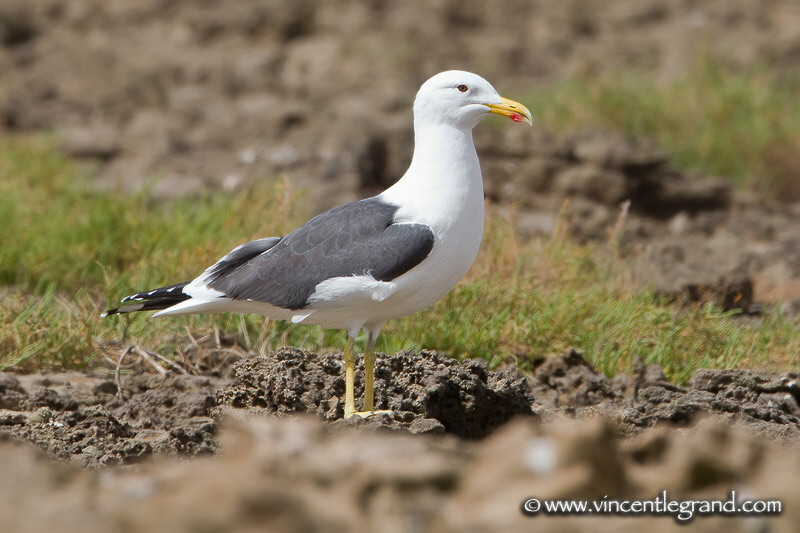 Atlantic Yellow-legged Gulls also occur in the area. So the photos of the bird below (taken March 19th 2011) by Vincent Legrand are intriguing. They are stunning photos and at first glance my best guess would be something with a GBB type head and bill (watered down) that had a Yellow-legged Gull as its other parent. However as Vincent has pointed out, the white trailing edge to the primaries is particularly wide. A feature of Cape Gull. So hypothetically, an adult Yellow-legged Gull X Cape Gull hybrid?! And the inevitable scary question- what if the Great Black-backed and Cape Gulls hybridise?" Apparent hybrid gull, Khniffis Lagoon, Southern Morocco. Picture 1: 19th March 2011, Vincent Legrand (same bird with open wings). Picture 2 & 3: 21st March 2011, Uku Paal. Great Black-backed Gull (Larus marinus) SVS 9159239 5cy-9cy, March 2012-June 2016, Boulogne-sur-Mer, France. Picture Jean-Michel Sauvage. 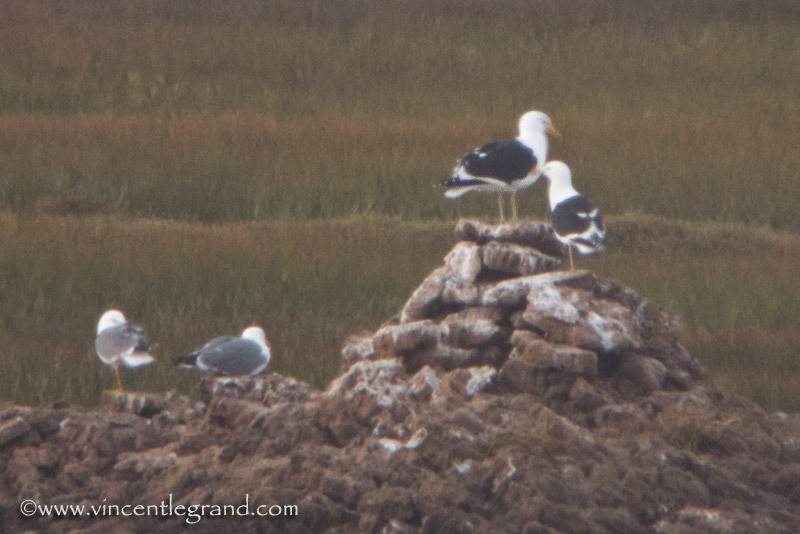 Great Black-backed Gull (Larus marinus) 1AM 5CY-6CY, June 2014 & March 2015, Howth, Dublin, Ireland. Picture: Graham Prole. Great Black-backed Gull (Larus marinus) 2CP 6CY, June 07 2014, Howth, Ireland. Picture: Graham Prole. Great Black-backed Gull (Larus marinus) 2LH 7CY, June 06 2015, Bullock Harbour, Ireland. Picture: Graham Prole. Great Black-backed Gull (Larus marinus) 2E2 adult, April 2012 - September 2015, Sandy Point Beach - Plum Island. Picture: Steve Arena, Jorge de Leon, Billy Clifford & Jeffrey Offermann. Great Black-backed Gull (Larus marinus) 9T5 5cy, June 28 2015, Sandy Point - Plum Island, Ipswich, MA. Picture: Dave Adrien. Great Black-backed Gull (Larus marinus) adult: June 12 2012, Boulogne sur Mer, France (50.42 N - 01.34 E). Great Black-backed Gull (Larus marinus) adult: June 27 2003, Boulogne sur Mer, France (50.42 N - 01.34 E).